The U.S. Department of Energy (DOE) presented the 2018 Housing Innovation Awards to 23 of the nation's leading builders at the Energy and Environmental Building Alliance's High Performance Home Summit in San Diego, California. Overall, 27 award-winning homes were selected from five categories: Affordable Homes, Multi-Family Homes, Production Homes, Custom Homes (Buyers), and Custom Homes (Spec). Winning builders provide substantial energy savings, total comfort, healthy living, peace-of-mind moisture protection, enhanced quality assurance, and future-ready construction. "Housing Innovation Award winners represent the top 1% of builders across the country who successfully demonstrate they can meet the federal government's most rigorous specifications for high-performance homes. "Zero energy ready homes are designed to provide a whole new level of homeowner experience including ultra-low utility bills, ensured comfort, comprehensive water protection, whole-house fresh air delivery, high-capture filtration, contaminant control, and enhanced durability. "These winners are leading a national movement to zero energy ready homes, providing better places for Americans to live, stronger communities, and a more economically and environmentally resilient nation. A complete list of the 2018 Housing Innovation Award Winners is below. Visit the U.S Department of Energy’s Housing Innovation Award’s website to learn more about the awards. 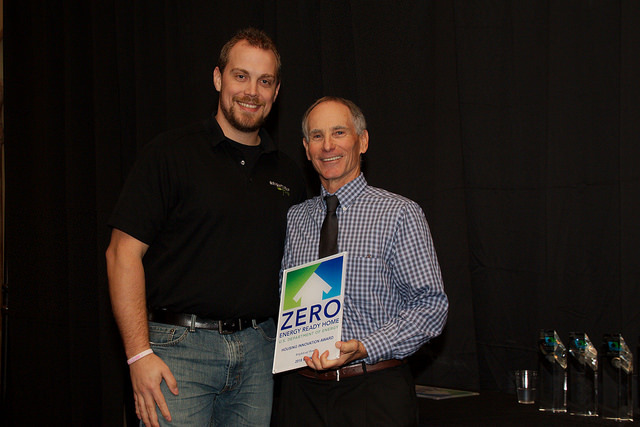 You can view the award winning homes from previous years on the DOE Tour of Zero.